You probably already know it. Most northern folk do. It gets cold in February. Really cold. But you can change that: at least for one night. 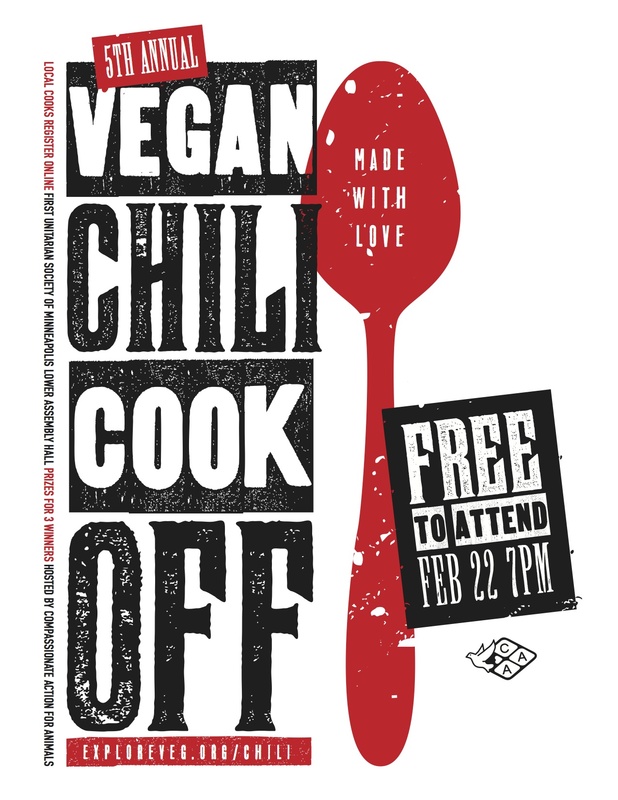 Join us on a chilly February evening with 125+ hungry Minnesotans in sampling homemade, local vegan chili recipes. You are sure to leave warmer. And did we mention that it’s FREE? Join CAA and your Minnesota neighbors at our 5th Annual Vegan Chili Cook-Off. 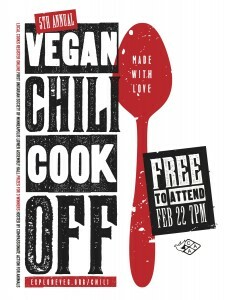 Come for free, bring a friend, sample tasty, homemade vegan chili and enjoy the warmth of good food and community. Omnivore, vegetarian, vegan: all are welcome! Think you have what it takes to compete? Cook a batch of your vegan chili, and bring on the competition! Cool prizes are to be won. Check out our registration page for more contestant details and to sign-up today. We also need volunteers. This year’s event will be held at the First Unitarian Society of Minneapolis, just southwest of downtown. Check out this map for directions. If you are a student at the UofM, a carpool van is leaving from behind Coffman Memorial Hall at 6:00pm. Contact Elise if you would like a ride. Contact Erica Sherwood with questions at at erica@exploreveg.org or 651-357-0826.